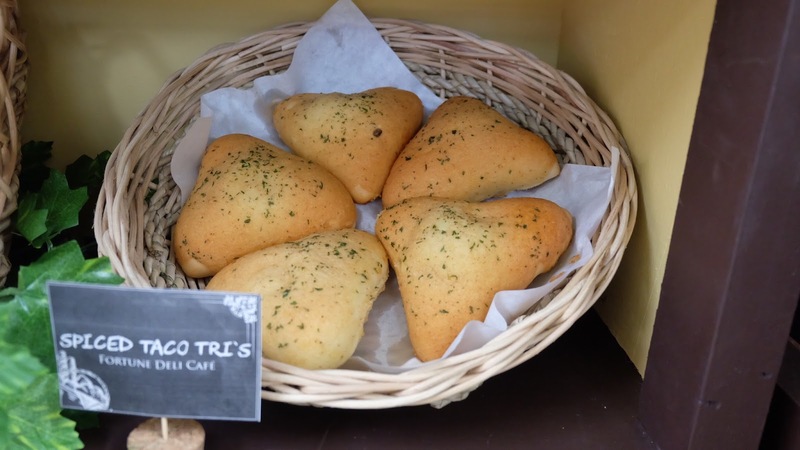 Bread is a staple food. It is very common and eaten daily in many parts of the world. 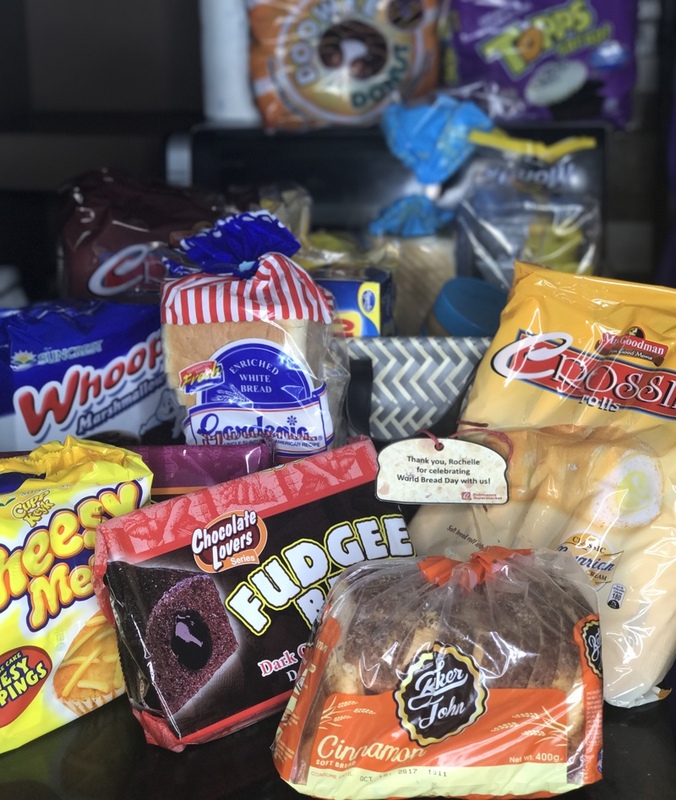 My family loves all kinds of breads. 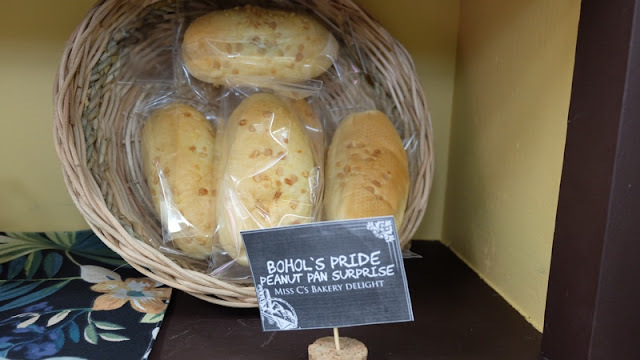 It is the perfect treat that I give to my kids that they can enjoy any time of the day as their baon or as a snack. 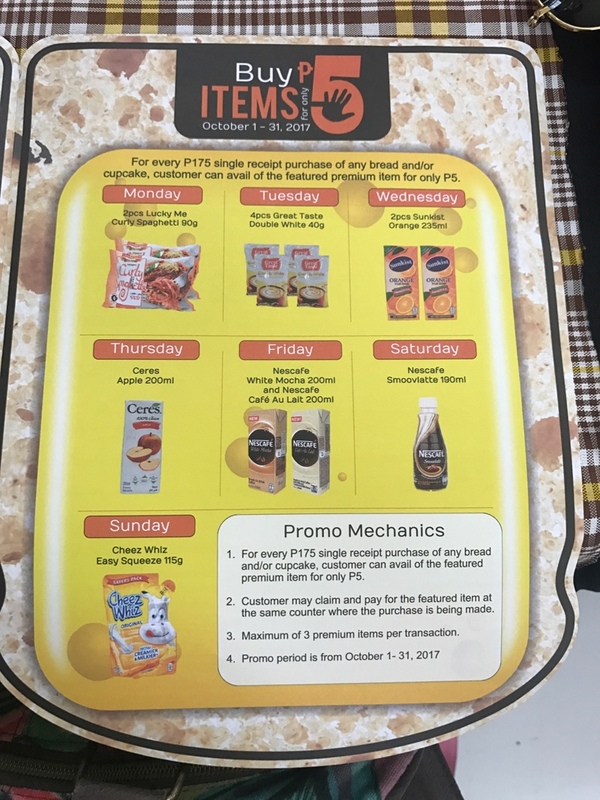 For the whole month of October, shoppers can get premium items of the day for only P5.00 whenever they buy P175 worth of any bread or cupcake. 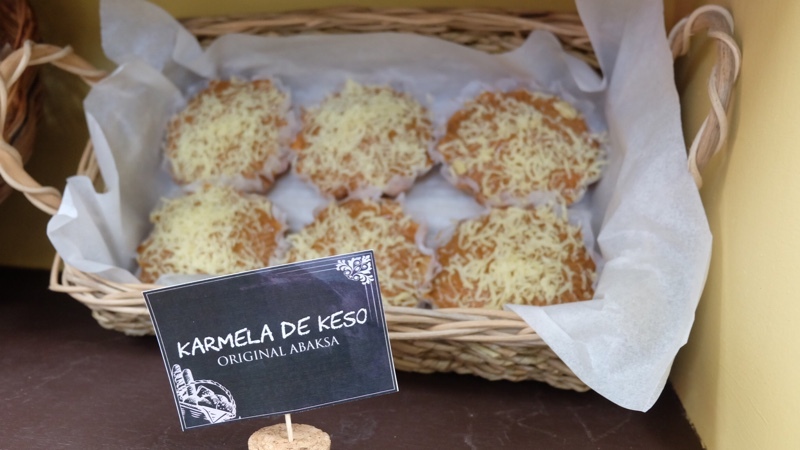 Proceeds of the promo will be donated to World Vision. 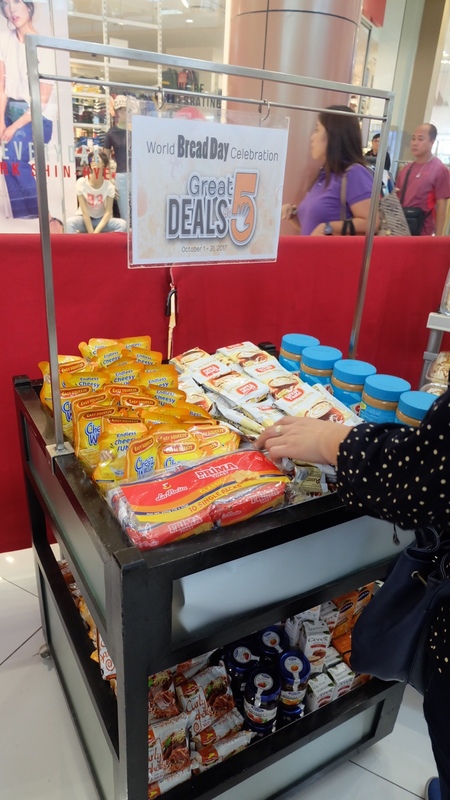 Supermarket shoppers can also get instant P5.00 savings on different sets of selected items weekly or enjoy 5% discount on selected Healthy You, Robinsons Supersavers, and Baker John bread products. 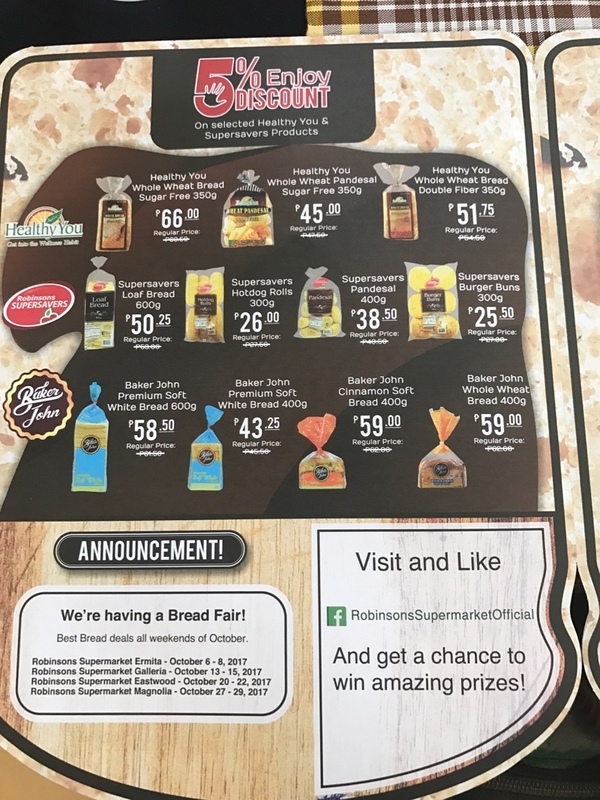 Robinsons Supermarket giveaway sandwich for any purchase during the launch. Robinsons Rewards Card members can also earn additional 5 points when they buy participating products. 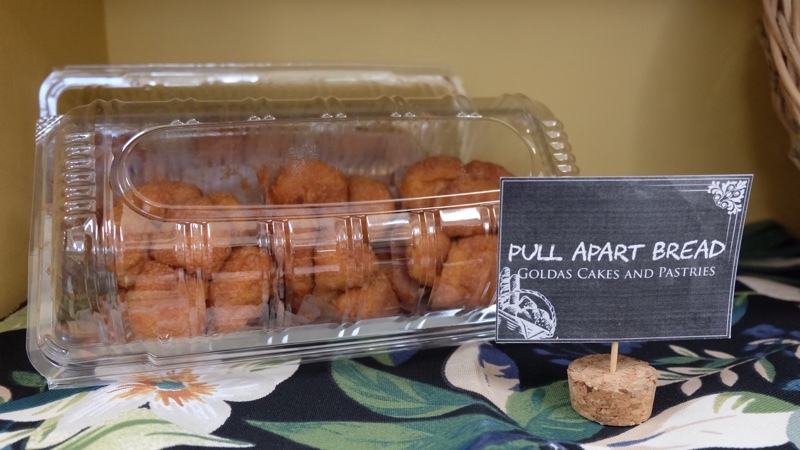 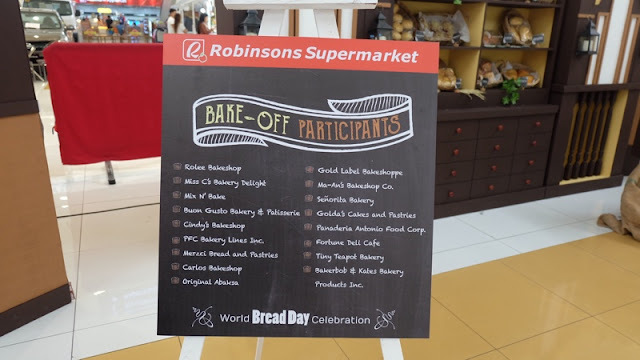 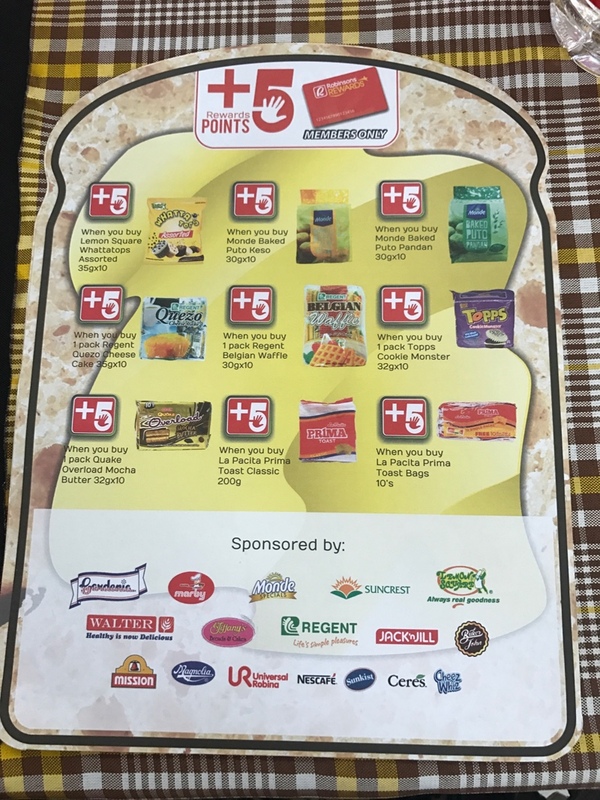 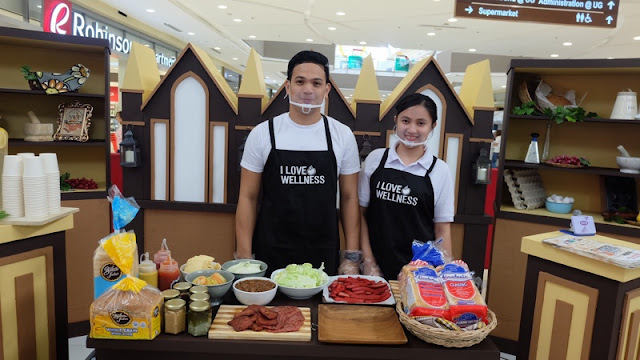 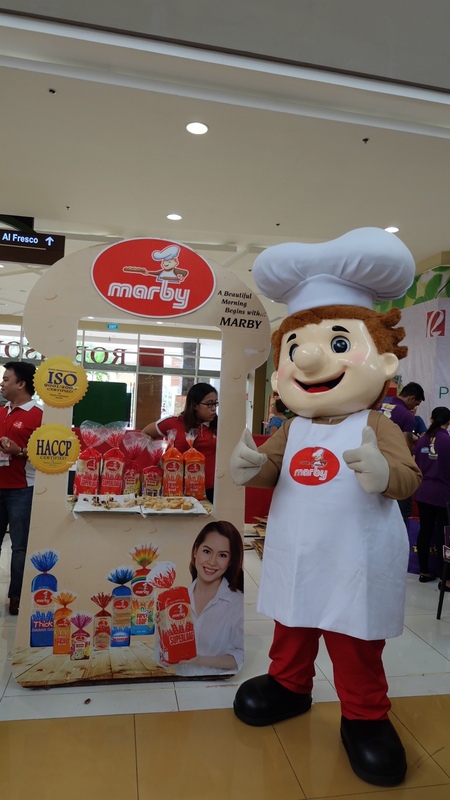 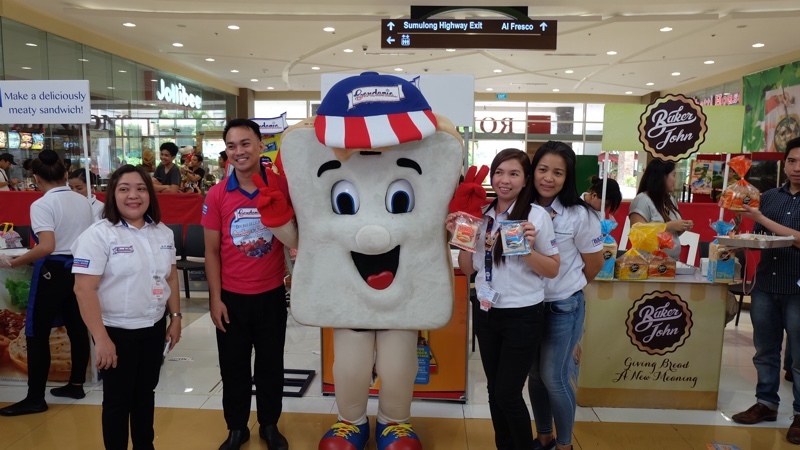 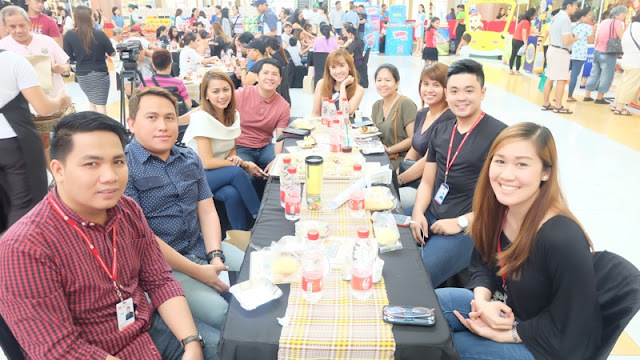 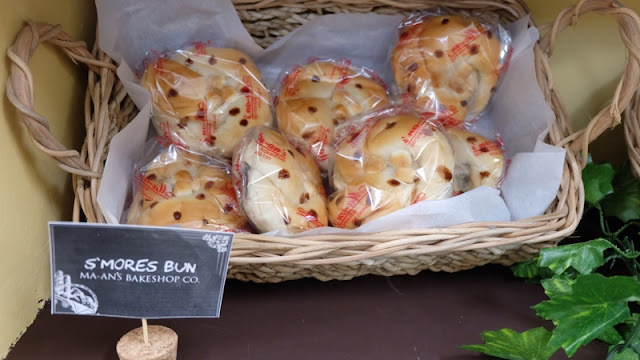 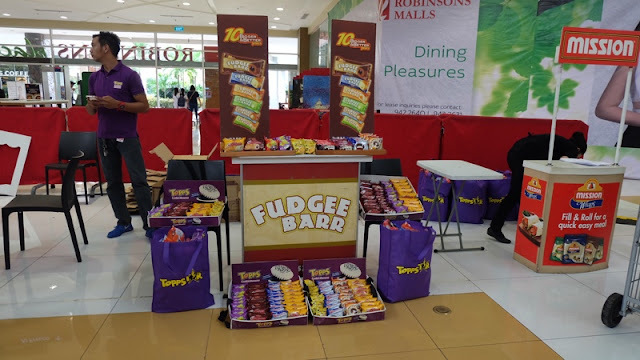 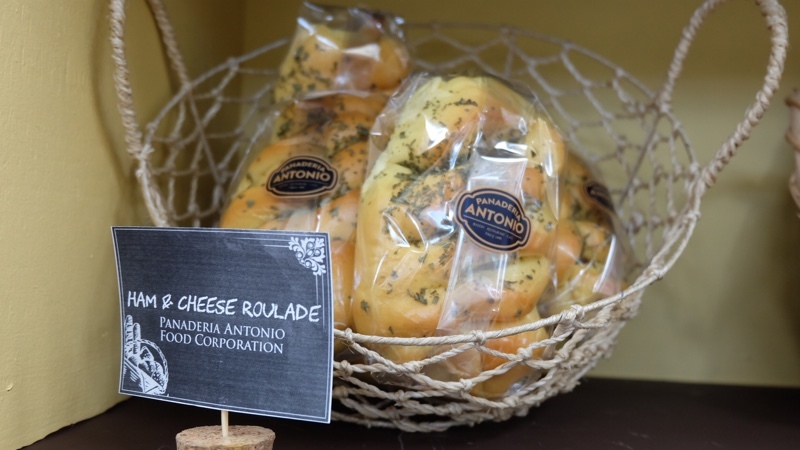 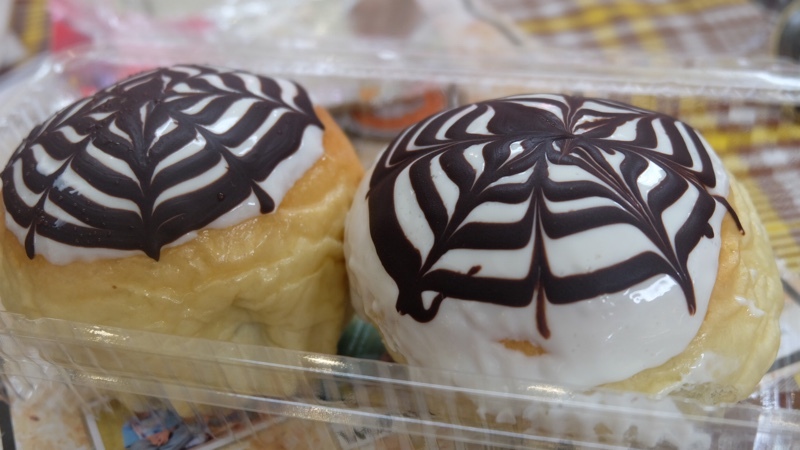 To launch this promo, Robinsons Supermarket held a bake-off contest among its bakery concessionaires to showcase their resourcefulness and creativity. 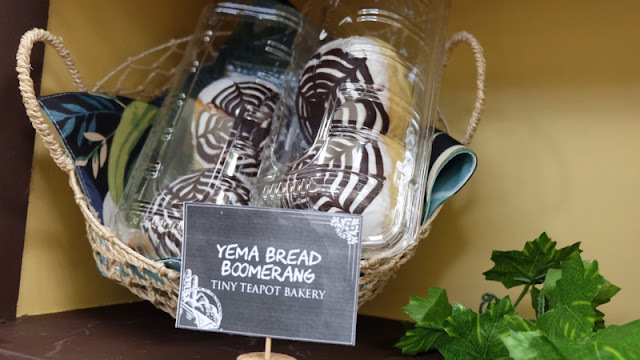 There were 12 bake-off participants from different regions that were asked to make something that will best represent their place. I was chosen to be one of the 3 media judges along with 47 Robinsons Place Antipolo shoppers to judge their bake-off contest. 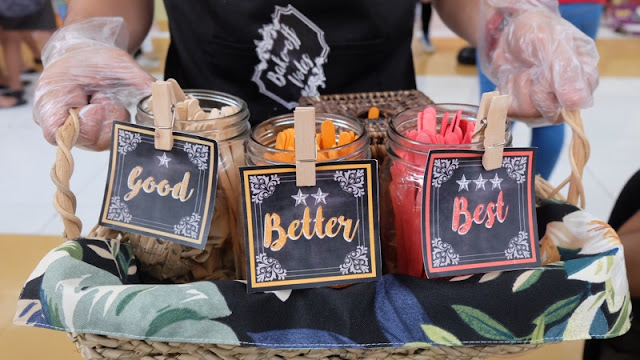 We voted using these popsicle sticks based on their taste, appearance and originality. Congratulations to everyone who participated the Robinsons Supermarket World Bread Day Bake-Off. Everything was really delicious! 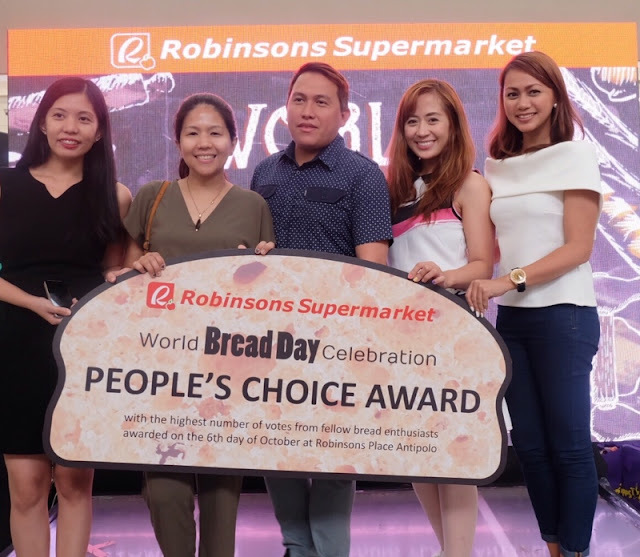 Congratulations Tiny Tea Pot Bakery for winning Robinsons Supermarket World Bread Day Celebration People's Choice Award 2017. 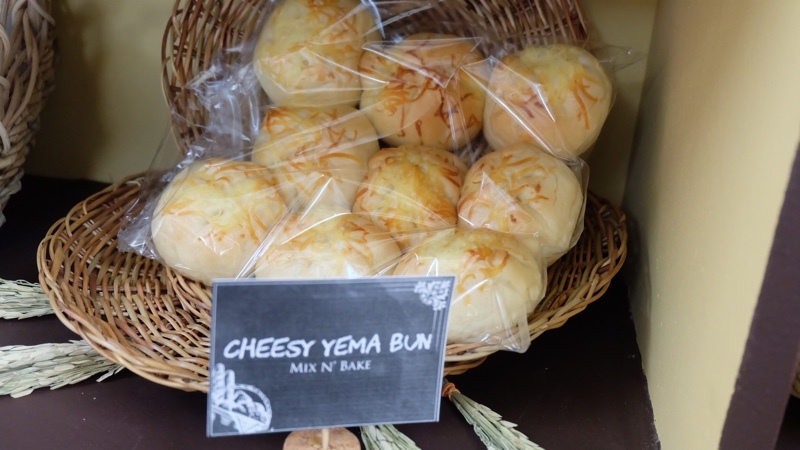 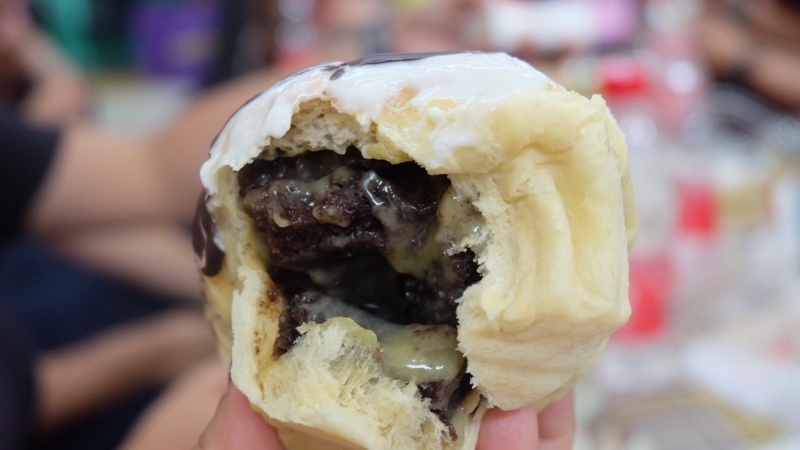 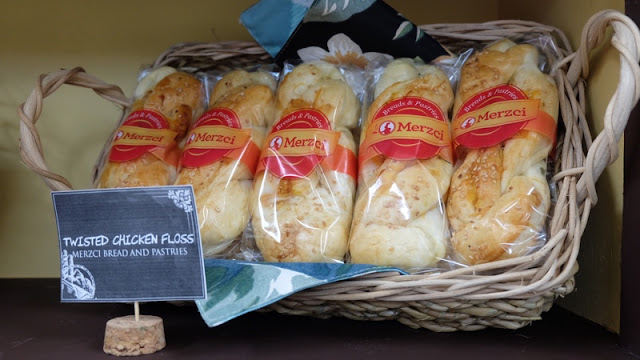 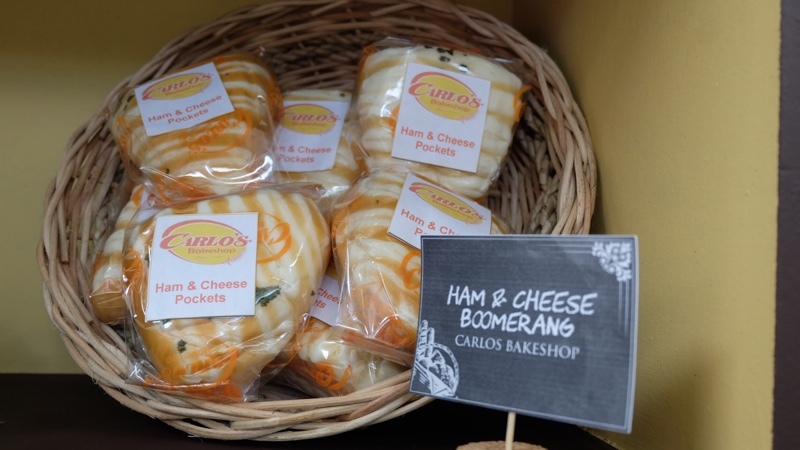 Tiny Tea Pot Bakery's Yema Bread Boomerang delicious fillings. 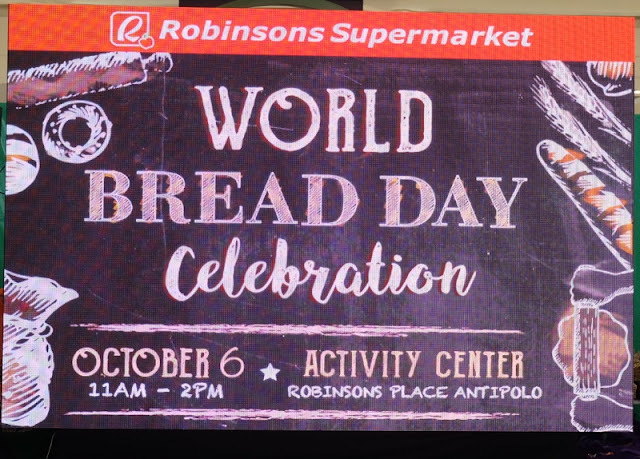 Thank you so much Robinsons Supermarket for having me. 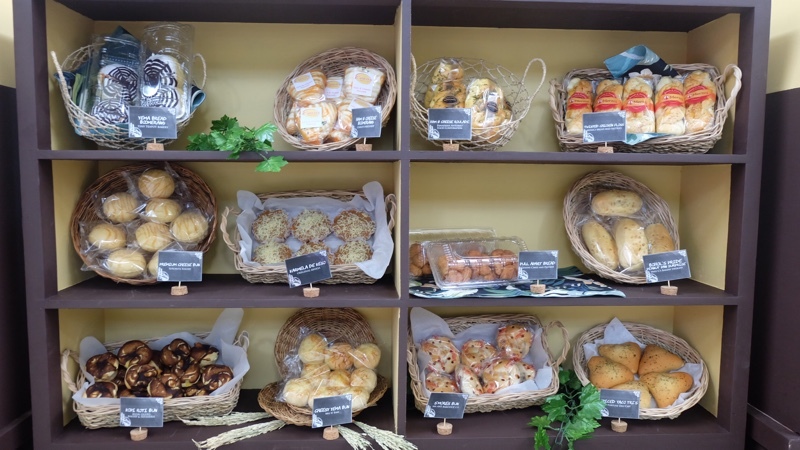 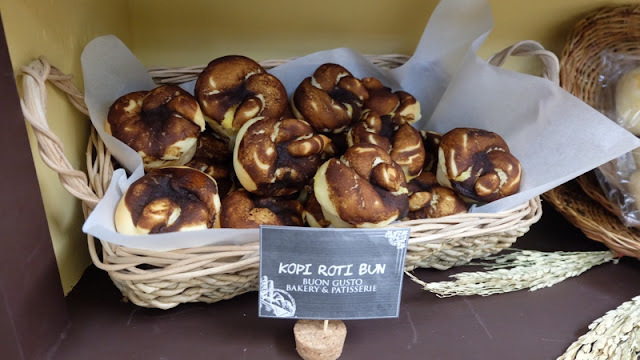 I really enjoyed trying out 12 different bread creations from different regions. Congratulations on the very successful event!